When J.D. Whitlock started at Dayton Children’s Hospital back in January, it may have been his first CIO role, but he’s no stranger to healthcare IT — or to leadership roles. And so he expected to face challenges, especially with an organization that’s restructuring to lay the foundation for growth. But he also realized the enormous opportunity it presented to help determine the right strategy going forward. In this interview, Whitlock discusses the many priorities on his plate, including planning for both an Epic upgrade and infrastructure refresh, and putting the analytics building blocks into place to support population health. He also talks about why he’s happy to engage with clinical leaders when it comes to EHR functionality, how he’s dealing with gaps in cybersecurity knowledge, and the many ways in which he has benefited from his experiences with Mercy Health as well as the U.S. Air Force. We just kicked off a project to add supply chain management — that’s a new functionality. It’s a little bit scary, making sure it’s mature enough to do what we need to do with supply chain. What I see us doing is leveraging Caboodle to get the non-Epic data you can relatively easily get in there — such as cost data and patient satisfaction data — and have that be the main data warehouse. Certain things are harder and certain things are easier. For example, you don’t have to coordinate between 22 hospitals from a governance perspective. On the other hand, if you need to do an Epic build, it’s the same amount of effort whether you’re doing it for one hospital or 22 hospitals. Best practice today is to manage data centrally and have good data governance so you all agree on how you’re defining things and where you’re getting the data from, but then have some of the actual analysts sprinkled throughout the organization reporting up through their clinical business leadership. Gamble: In terms of clinically integrated network, what do you have in that space? Whitlock: We do have a clinical integrated network. It’s about 100 primary care pediatricians, zero of whom are employed by Dayton Children’s. We partner with them. We have an at-risk contract — not fully at risk, but some variation of shared savings — with Anthem for 19,000 kids. That includes the children of our own employees, but is not limited to them. It provides additional commercially insured lives through Anthem. I’ve been told it’s the first of its kind that Anthem is doing in this country for pediatrics. We’re using Wellcentive to get some of the billing data, depending on the capabilities of the ambulatory EHRs that these pediatricians are on, whether it’s a CCD or something similar, so we can do population health risk profiling and care coordination on that platform. That started before I got here; it was the quickest way to get started. We’re also looking at how we use Epic Healthy Planet tools. We’re in the middle of building a new building for our primary care group, which is largely a pediatric residency program, along with things like a foster care program and medically complex kids program. There’s a heavy emphasis on social determinants of health. For communities with a vast majority of Medicaid population, we want to use all the Healthy Planet functionality. Really, it’s a two-pronged strategy of the traditional population health model: one with our CIN partners, none of whom are on Epic, and one with our own pediatricians, who are largely residents for our Medicaid population. Gamble: So with something like this, where there’s a partnership required between the different entities that are in play, is IT’s role primarily to provide support and set up that framework? Whitlock: Yes. I had experience in my last role with some of the CIN work and population health support, so I’m getting involved strategically with the group that’s plotting all of that, helping them to think through how we can apply technology most efficiently. Gamble: And then, of course, there’s the analytics piece. Whitlock: Yes. We are relatively immature on some of the Epic analytics. Epic has their Gold Star program, which is their maturity model, and we’re at the bottom on the analytics side, and so we’re trying to get up to speed and do a better job with using tools like SlicerDicer and our dashboards. We have a rudimentary reporting functionality so we’re trying to do better on that as well. In terms of other areas, we’re in the middle of implementing Strata for cost analytics. We’re live on human capital management and financial management on Workday, and we just kicked off a project to add supply chain management — that’s a new functionality. It’s a little bit scary, making sure it’s mature enough to do what we need to do with supply chain. Once you get all three of those in there, I think it does get us somewhere close to a real, modern cloud-based ERP system. We’re looking forward to that. Obviously a lot of analytics come out of that. I was talking to someone who’s doing the reporting out of Workday — that’s an object-based database, so it makes some of the reporting complex when you’re trying to get creative. So we’re working with Epic, Workday, and Strata in terms of the main data sources for analytics. Our overall plan is the Microsoft BI stack. If you’re already on the Sequel server (which all Epic shops have to be on because of Caboodle), then it’s a no-brainer to go the Microsoft route, as long as you’re not already invested in an enterprise BI tool like Tableau or one of the others. What I see us doing is leveraging Caboodle to get the non-Epic data you can relatively easily get in there — such as cost data and patient satisfaction data, although that’s a little bit complicated because there are slightly different flavors and pediatric world — and have that be the main data warehouse. And then where we have other things like HR data and finance data, build some tabular cubes and do some power BI on top of that for enterprise scorecarding. But that’s a little ways down the road. Gamble: Switching gears a bit, you stepped into the organization with a lot of priorities and a lot of things planned. I’m sure it’s been an interesting first few months. Whitlock: It has, and it’s challenging in a smaller shop — we’re on the very small end of Epic customers, typically. We have about 100 people on the IT team at Dayton Children’s. At Mercy Health in Cincinnati, my last employer, the equivalent sized team was 600 people. Of course, that was 22 hospitals instead of one hospital. Certain things are harder and certain things are easier. For example, you don’t have to coordinate between 22 hospitals from a governance perspective. On the other hand, if you need to do an Epic build, it’s the same amount of effort whether you’re doing it for one hospital or 22 hospitals. So it can be challenging. But we have a great collaborative leadership culture here. All the clinical leaders are a pleasure to work with, and I think we’re all headed in the same direction. We have a visionary CEO who’s stepping out and doing the right thing for the kids, even when that’s not a money-making proposition. For example, we’re putting a lot of resources toward primary care efforts for our Medicaid population, because it’s the right thing to do, even though we can’t seem to get any risk contracts with our Medicaid managed care partners. It’s the right thing to do, so we’re doing it anyway. Gamble: Right. 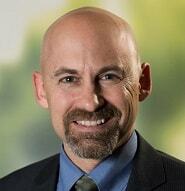 Now, in your role at Mercy Health, you were VP of Enterprise Intelligence. I can imagine that even though it was a different role with a different organization, you’re able to benefit from that experience and take some of those lessons learned. Whitlock: Absolutely. My day job, as the name implied, focused on analytics at the enterprise level. Having said that, Mercy was pretty decentralized with where the analysts were. As Gartner suggests, best practice today is to manage data centrally and have good data governance so you all agree on how you’re defining things and where you’re getting the data from, but then have some of the actual analysts sprinkled throughout the organization reporting up through their clinical business leadership. 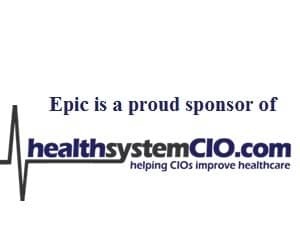 I had the Epic Clarity team — our data warehouse team, which was both Caboodle and a separate enterprise data warehouse — as well as a data management team that did a lot of work with the revenue cycle, and a population health BI team that did a lot of work with getting paid claims. We were using IBM Watson Health, both the Explorys and the Truven chunks of that. That was my day job. In addition to that, our CIO had each of her direct reports assigned to one of Mercy’s seven regions to be the IT executive relationship manager. In those duties, I got a good overview of all things IT, and that’s really helped me greatly in this job. A lot of lessons learned from Mercy that I can deploy here at Dayton Children’s. Gamble: What sort of things did you do in that role of IT executive relationship manager? Whitlock: I would spend one or two days a month in the region, which was St. Rita’s Medical Center in Lima, Ohio — it was actually the same drive, whether I was headed south to my office in Cincinnati or north to St. Rita’s. I’d spend a day or two up there. I had a staff with a full-time relationship manager, a technical site lead as well as field services and other things you need for local support. I’d go to the senior leadership team meetings and hear what their challenges and struggles were, and then I’d meet with the local CEO to make sure we were getting things done for all of IT. If there was an issue, whether there was a network problem or another problem that was not part of my day job, I’d bring it back to our regular staff meetings in Cincinnati. It was a nice, creative tension where the VP direct reports would come back to the CIO and say, ‘I heard about this in Youngstown or Toledo or Lima. How do we all work together to provide better service?’ It was a nice model.